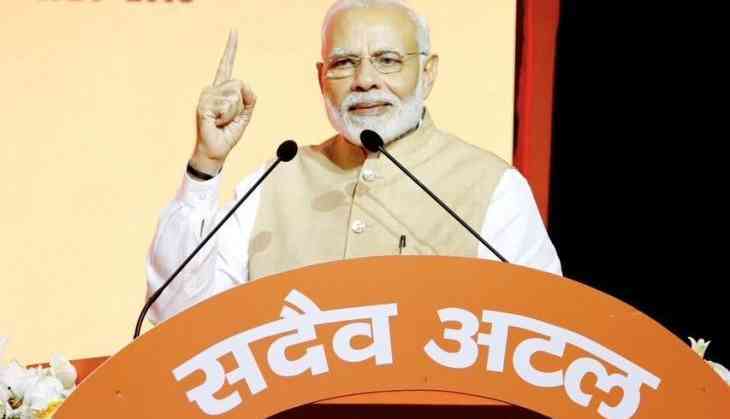 Prime Minister Narendra Modi on Wednesday announced the launch of 'Swachhata Hi Seva Movement' from September 15. The movement will be launched to mark the commencement of Mahatma Gandhi's 150th birth anniversary on October 2. The Prime Minister further urged everyone to be a part of this movement and strengthen the efforts to create a 'Swachh Bharat'. In a series of tweets, Prime Minister Modi said, "On 2nd October we mark the start of Gandhi Ji's 150th birth anniversary. It is also the day Swachh Bharat Mission completes 4 years of being a historic mass movement aimed at fulfilling Bapu's dream of a Clean India. I salute all those working towards a Swachh Bharat!." "The 'Swachhata Hi Seva Movement' commences on 15th September. This is a great way to pay tributes to Bapu. Come, be a part of this movement and strengthen the efforts to create a Swachh Bharat!," he tweeted.